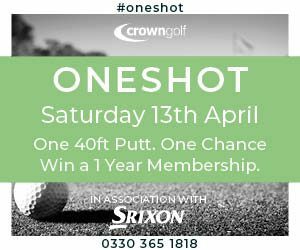 The Online Golf Club & Golf Society, The Social Golfer have confirmed that Crown Golf will be its official site sponsor for a third year running…. Crown Golf (the UK’s leading Golf Club Operator) and The Social Golfer (TSG) have built an effective and commercial partnership over the last few years which has resulted in driving over £10K of Green Fees to the group in 2017! 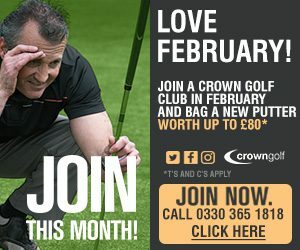 This year’s agreement sees an addition to their effective partnership, with 2018 seeing ALL TSG PRO account holders receiving a FREE round of golf at Crown Courses (T&C’s apply) as part of their annual £29.98 membership fee*. Furthermore, Crown Golf will also replace The Altonwood Group as the Official Sponsor of the TSG MatchPlay Championship that runs throughout the summer months, with the final held at Pine Ridge Golf Club. The two brands first partnered in 2016 and as a result, Crown Golf saw over 350 rounds booked at Crown Courses by TSGers (their members) that year. The renewed partnership will include sponsorship of Blogs, Emails, Newsletter Promotions, Advertising and reciprocal Social Media promotions and website linking. 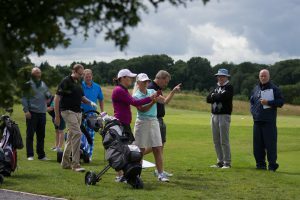 In the last 12 months, The Social Golfer team continue to provide its unique platform for its members, with over 1000 events being organised via the site with more than 5K+ rounds played on the site. In addition, the site network now holds over 5K Course reviews generated by its members. 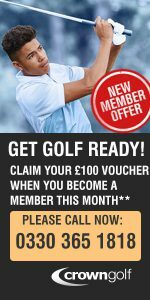 The online golf community also has over 5K registered users in the UK and 10k+ worldwide. The agreement negotiated between Crown Golf Group Director of Sales & Marketing, Nikki Blacker and TSG Managing Director, Ian Mullins and will run throughout 2018. As part of the 40th Anniversary celebrations taking place throughout 2016 on Friday 29th April, St Mellion are hosting “An Evening with Peter Alliss” where he will relay some golfing anecdotes of his time as a top class golfer, his 40-years as the ‘Voice of Golf’ and of course, a few memories from his visits to St Mellion. Alliss said, “Having spent many happy hours at St Mellion, both playing and working for the BBC, it’s with great anticipation that I look forward to revisiting and meeting up with old friends and having a very enjoyable evening to celebrate 40 wonderful years of golf”. Peter Alliss’s first of many visits to St Mellion was in the late 1980’s when the Bond Brothers had the vision to contact the greatest ever golfer, Jack Nicklaus, and asked him to design a world-class golf course. 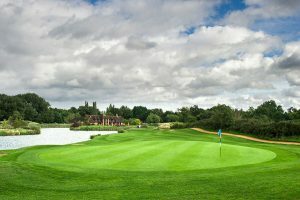 In 1987, the Jack Nicklaus Signature Course was officially opened to rave reviews with a unique ‘USA versus Great Britain’ match that pitted four multi Major winning golfing Legends. For the USA the course designer Jack Nicklaus was accompanied by Tom Watson, playing against the British duo of Nick Faldo & Sandy Lyle. This match was broadcast by the BBC Golf and was so successful it was played again the following year. After playing the golf course for the first time, Nicklaus was so proud of the golf course he created he was quoted “potentially St Mellion is the finest golf course in Europe”. In 1990, the first of six Benson & Hedges International Opens were played on the Nicklaus Course, all of which were broadcast live by the BBC with Peter Alliss at the helm in the commentary box. These tournaments proved to be a great showcase for the golf course, with so many people watching all over the UK getting a chance to view so many unique and beautiful holes. 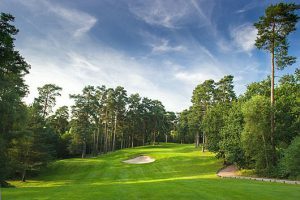 During those six years some of golf’s greatest ever players including Seve Ballesteros, Jose Maria Olazabal and Bernhard Langer played down the famous 18th finishing hole to win the prestigious European Tour event. David Moon Golf Manager at St Mellion said, “We are delighted to be welcoming Peter Alliss back to St Mellion, the BBC and the wonderful commentaries of Peter Alliss were instrumental in getting St Mellion on the golfing map. Many of our Members, who are still here today, were such an integral part of those tournaments and they are delighted to have a true golfing icon here, to join with them to celebrate 40 very memorable years”. St Mellion has continued to be a “golfing mecca” with a thriving Golf Membership and a new 4* star Hotel, Health Club and Spa, which attracts visitors from around the UK and abroad. 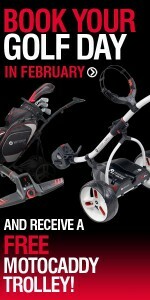 The accolades have also continued to be bestowed for both the golf course and the resort…. 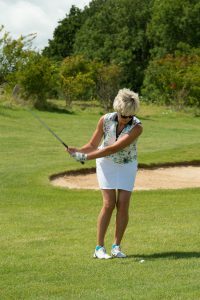 The Nicklaus Course is regularly featured in the Top 100 and has won “Best golf course in the West of England” on numerous occasions and the Resort has won Large Hotel of the Year and The South West Golf Resort awards.